In the Atacama Desert in Chile, it rarely rains. 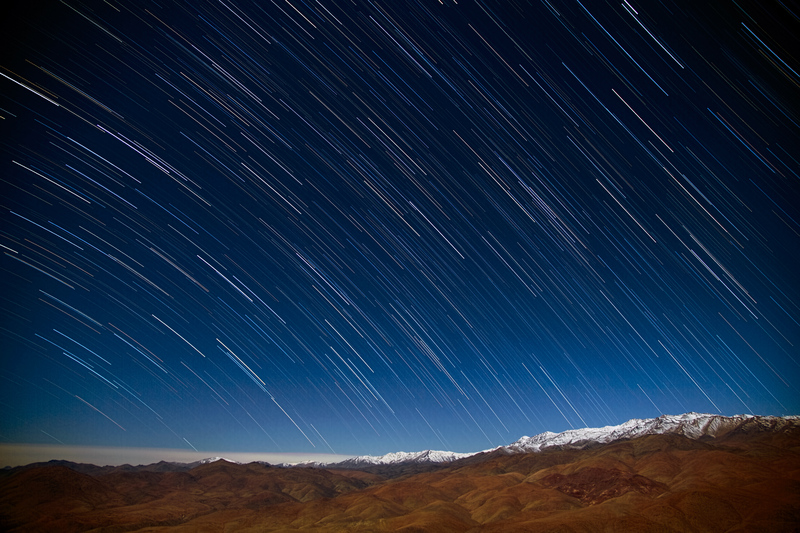 Only once every few years does significant rain or snow precipitate on ESO’s La Silla Observatory, generally coinciding with an anomalously warm weather event such as an El Niño event. This desert is one of the driest places on Earth, making it a fantastic site from which to observe the night sky. Although there may be very little real rain, some photography tricks can instead make the stars appear to rain onto the surrounding mountains, as seen in this image taken on 21 May 2013 by Diana Juncher, a PhD student in astronomy at the Niels Bohr Institute, Denmark. Diana was at La Silla for two weeks in May 2013, observing exoplanets towards the centre of our galaxy as part of her research. 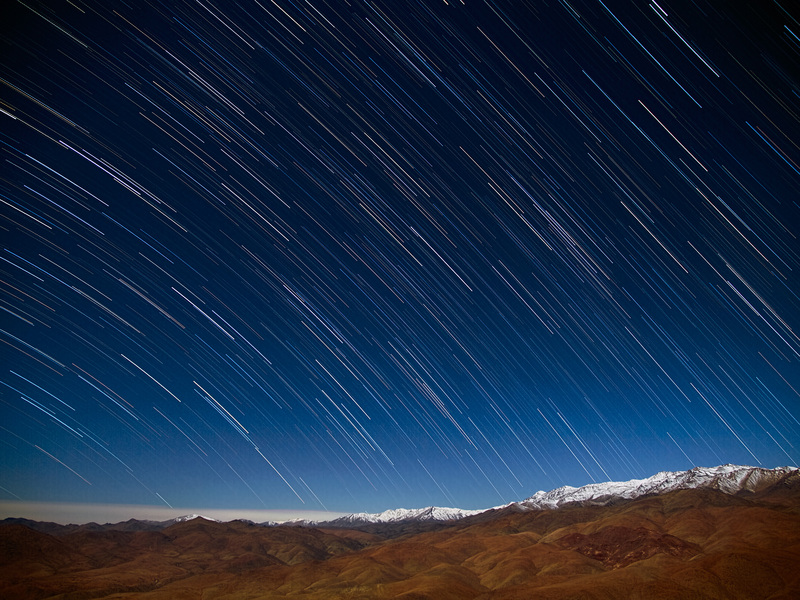 During her stay she managed to take this image of star trails, taken only around 20 metres away from the Danish 1.54-metre telescope at ESO’s La Silla Observatory. 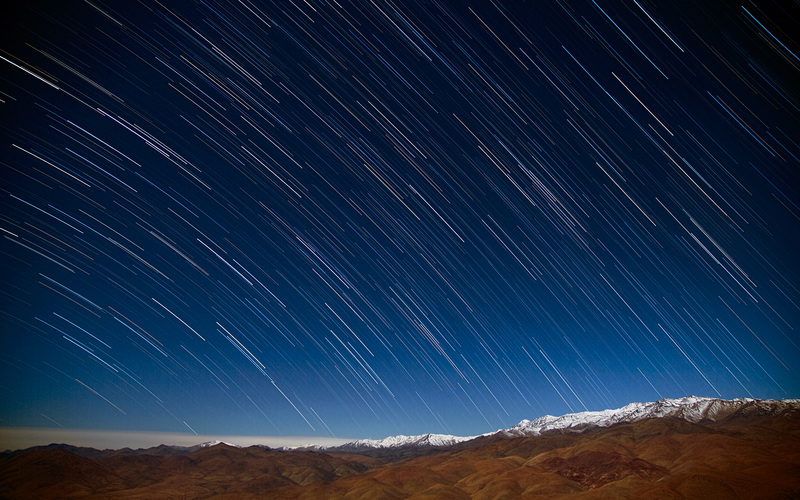 Star trail photographs like these are shot using a long exposure time in order to capture the apparent motion of the stars as the Earth rotates. 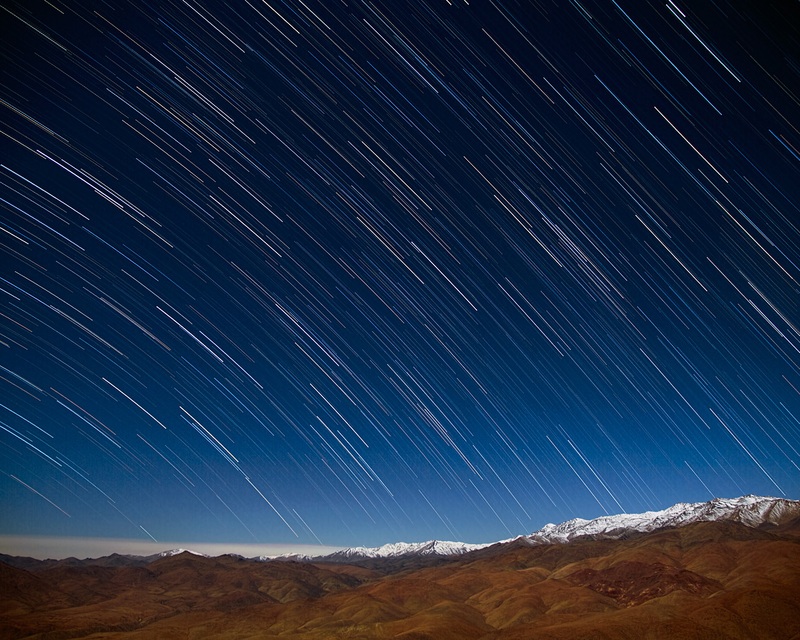 A wisp of snow covers the distant mountain tops, and soft clouds can be seen below La Silla, near the horizon to the left. The slightly darker and redder area to the right is an open copper mine. Copper is Chile's biggest economic asset — the country is by far the world leader in copper production.